CuraDebt has been in business for 15 years and competitive pricing but lacks transparency. CuraDebt offers competitive pricing, charging only 20% of a client’s debt for their debt settlement services. This price is slightly lower than most industry prices we have seen. Like many other debt settlement companies, CuraDebt also offers a free debt relief consultation. This is one of the longest-running debt settlement companies in the industry. CuraDebt has been helping people get out of tough financial situations since 1996. The debt settlement company holds certificates with major industry accreditations, including the AFCC and the IAPDA. Of note is the fact that they take on smaller dollar cases as low as $5,000 in unsecured debt, allowing more people to use their debt services than many competing debt settlement companies would. One of our concerns with CuraDebt relates to transparency. The debt settlement company is filed in Nevada but has no offices in the state. Instead, they list an address on their website in Hollywood, Florida in a building owned by Regus. According to Regus, a company that rents virtual and physical office spaces, there are six CuraDebt employees who work there. While the company does have some ties to the U.S., it appears that most of their operation is located in Columbia. CuraDebt is only available in a few states (37/50). The states they do not work in are as follows: CO, CT, GA, ID, IL, KS, ND, NH, SC, VT, WA, WI, WV. On paper, CuraDebt appears to have all of the right things: competitive pricing, accreditations, a money back guarantee, and 15 years in the debt settlement business. The debt company’s low number of employees could be a cause of concern for some customers. We do not recommend CuraDebt at this time. 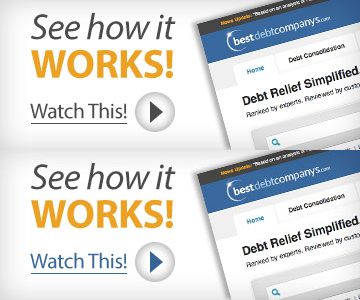 Click Here for other Top Recommended Debt Settlement Providers. How Much Does CuraDebt cost? No fees are charged upfront. On average, clients are charged 20% of the total debt enrolled for CuraDebt’s debt settlement services. No payments are made until the client accepts the settlement. There are no installment or administrative fees. They currently have no up-front fees. Curadebt offers a free debt consultation over the phone or they can give you basic advice by just filling out the form on their site. If you fill out the form, you’re not committing to anything binding, you’re simply giving them permission to counsel with you about your debt. Does CuraDebt Offer A Money-Back Guarantee? The company will refund you if the debt settlement amount plus fees paid are in excess of the original debt. What Types of Debt Does CuraDebt Work With? They offer debt settlement for unsecured loans. CuraDebt was formed in 2000 to help individuals and small businesses in settling debt. Operating for over 15 years has made this debt settlement company one of the most experienced in the industry. CuraDebt offers a free consultation to help you better understand your situation and financial goals. The company’s team of representatives is committed to providing expert assistance, timely advice, and personalized solutions. 15 Years. Curadebt has been in business since 2000. Curadebt has a blog about saving money, paying off debts, avoiding bankruptcy, avoiding credit repair scams and the like, but they don’t offer much that’s unique or any type of heavy duty training or education system. They also have a page with links to debt management and bankruptcy sites by state. Specifications and regulations vary from state to state, so this can be helpful information. No. Curadebt does not have a responsive website, so when you pull it up on a phone, everything is more difficult to read. In addition, they don’t offer a mobile app. It would be beneficial for many customers if they had access to their information on a mobile device. You can cancel debt services at any time since you aren’t charged until a settlement is reached. Curadebt specializes in debt settlement. They provided debt consolidation up to a year ago but stopped a year ago once decided it wasn’t the path for them anymore. The minimum amount of debt they service is $7,500. No. There is no special dashboard for customers. As with all debt settlement companies, you always have access to your FCC account at all times. Yes, they are proudly listed as an accredited member of the AFCC, but not the IAPDA. I recently enrolled in the program with Diego M. He took the time to explain the program, how it works, and what everyone’s roll in the process would be. All of this without taking any of my information. I was able to get back to him with an answer at my leisure with no hassle. Although my debt is relatively small in comparison, the program is helping with lower monthly payment. I would highly recommend this program to friends and family alike. 10 thumbs up! I had so many credit card debt that I didn’t know where to turn. I tried several debt relief programs and none of them could help me. I saw this site on-line so I decided to try it. I spoke to David B. and he was kind and polite and listened to my problem. He helped me so much and I feel like a burden has been lifted from my shoulders. He is a real asset to your company. I have been with the CuraDebt program for about 2 years and honestly have had nothing but pleasant experiences with the customer support and the agent that was assigned to my case. I decided to go with this particular company after doing much research online comparing to many other debt consolidation companies. I would recommend CuraDebt to anyone whose looking to put their debt to rest in a short amount of time . This company is loyal to their clients and do everything in their power to get you the client the best possible outcome. We fell on some hard times with a cancer diagnosis. Raising two young kids at the time got into some high interest credit card trouble trying to keep food in the frig and the lights on. Zac helped me clear my debt and rebuild my credit score. Cant thank them enough. Just recently contacted curadebt about my credit card debt. Lorine has been extremely helpful and polite with her service. Giving curadebt a 10. Where to start? I racked up five figures in credit-card debt paying for a wedding and honeymoon and then lost my job. A month later we learned my wife was pregnant. I was starting to lose sleep and get what I thought might have been panic attacks. How to pay for everything with nothing coming in? So I called Cura Debt and talked to Zac, who I must say made me feel 100% better. I ultimately signed up for a plan that made it all manageable, and I must say that five years later my growing family is financially healthy. Thanks Zac! I was very impressed with Lorine. She is very knowledgeable, seems to care about your debt and how your company can help, a real people person who seems to care about about her customers. When I contacted her she always got right back to me and could answer any questions I had. Very impressive after the thousands of people I’ve talked to in positions like hers or similar. Great personality and accommodating. Curadebt has been extremely helpful during this financially challenging time for me. I have nothing but good things to say about all of the people who have helped me along the way. From the first point of contact to my current counselor, they have compassionate and understanding and answered all of my questions. They really work hard to get the best settlement possible. I like how accessible my debt counselor is. He is always a phone call or email away if I need to reach out to him. Thanks to Curadebt, I can rest assured that I am on the path to being debt free. I enrolled with debt settlement program with Curadebt in Jan 2016. Curadebt assigned me to 23rd Party “Peak Legal Advocates”/Sentry Servicing. I put 7 Creditors and they said my program will be 60 month for ~$442.11 which include their monthly fees of $50. After 2 years in the program and never late on my payment. I ended up getting sued by one of my crediotrs since my CREDITORS NEVER RECEVIED a singel peeny from them. I cancel the program today and hope they don’t take any more $ from my bank. Be aware! When I called CuraDebt to see what I should do I talked to Lorine V. She took the time to answer all my questions so I would know what was the best thing for me to do. I’ve received great one on one Customer Service! I have been very happy with curadebt. I was lost in debt and didn’t know what to do. Curadebt helped me so much. Through them, and with the huge help of Katerine T, I have paid off a lot of it and my stress levels have gone way down. Thank you again for all your help. I give CuraDebt a 10 rating because Mr Freeman was kind and understanding. He explained everything to me step by step. We have been partners with Curadebt for years and they never disappoint. They are always on top of the details, very responsive and they always communicate clearly and often. Everyone we have dealt with has been extremely professional, caring and helpful. They have the highest recommendations from us! We are proud to partner with CuraDebt as a resource for our users to solve their issues with tax relief. Their team has been extremely responsive in building a platform to easily help online users looking for assistance and information. By my own poor judgement, I had gotten myself into this situation. Curadebt has helped me to climb out slowly but surely. Katerine T. has been very helpful and understanding. Thank you! I see a light at the end of the tunnel. Julio is absolutely amazing at what he does. Very patient, professional, and kind. Choosing a company to work with is a very difficult decision but curadebt made it 100x better! Looking forward to working with this comany and successfully completing the program. The process was simple and concise. All of my questions were answered clearly. Open lines of communication makes it easy for any further questions or concerns I may have to be satiated. By submitting this form, I consent to receive calls using automated technology from CuraDebt at the number provided and understand this is not a condition of purchase.